This is just a short little blog to show you one of my favorite ways to make a cake topper— you may have noticed that I LOVE toppers! To me, a simple handmade decoration can take a cake from ordinary to fabulous in the blink of an eye. Today we’re thinking about Valentine’s Day–after all, it’s only 1 month away! 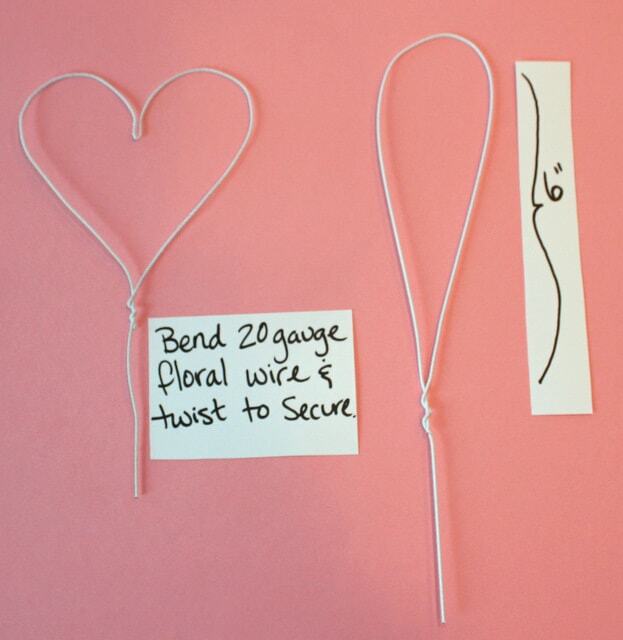 So for this cake topper, you will need floral wire—choose a gauge firm enough to hold it’s shape but still nice and pliable–I chose 20 gauge fabric covered wire. 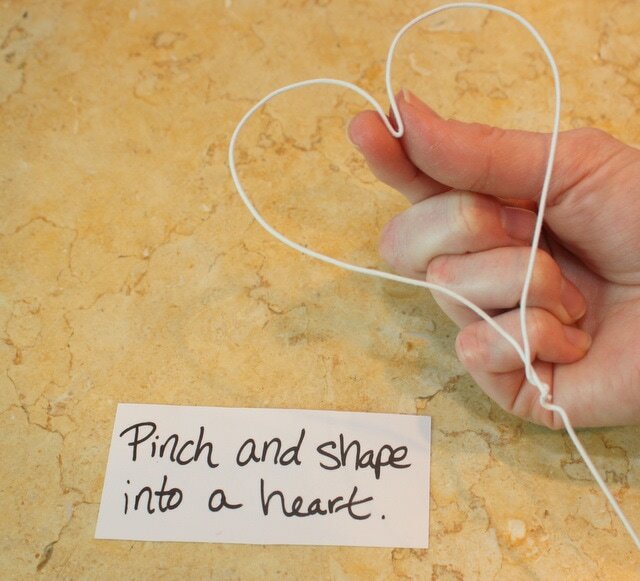 Now, we can begin to make our topper–we’re making a heart! The one on the left is the shape that we are shooting for. Wilton has these awesome heart sprinkles that I have never seen before–so maybe they are new this year–I love that they have heart shaped holes in the center! 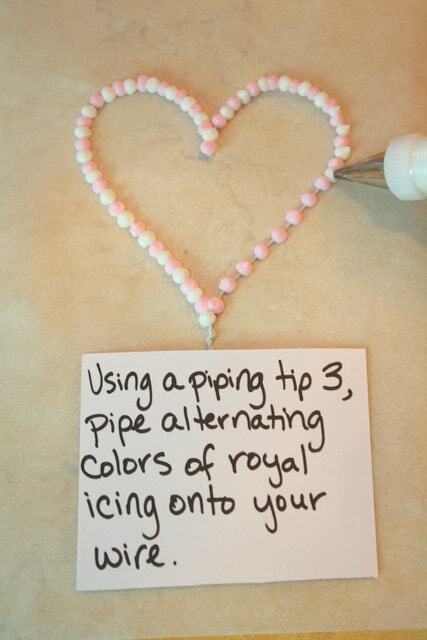 Royal icing dries quickly & so it’s not a bad idea to pipe a section of royal icing beads and then place your sprinkles….then pipe another section of beads and so on. That’s it! The entire topper from start to finish took me about 15 minutes to make. Isn’t it so cute? 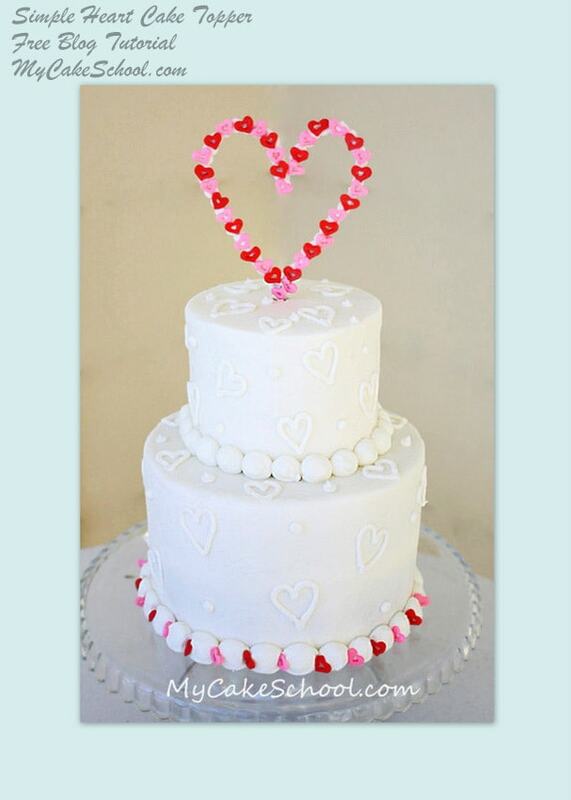 Finally, I piped more little hearts all over the cake with my Wilton tip 4. If you don’t like to freehand, just cookie-cut fondant hearts and place them on the cake with a little icing as your glue. I hope that you enjoyed this little tutorial— more Valentine’s Day themed sweets are on the way over the next few weeks! Have a good weekend. 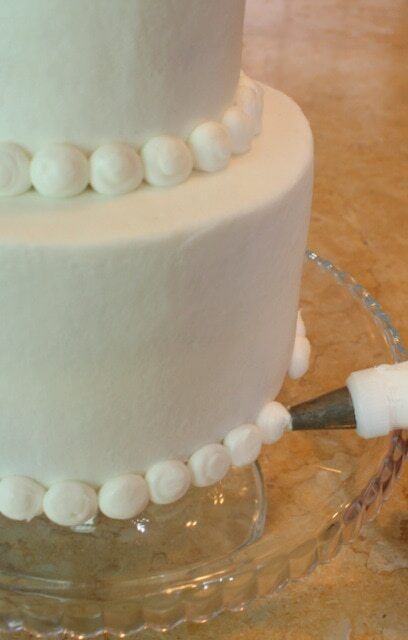 « Sweet Eyelet Cake- A Cake Decorating Tutorial! Thanks. Those are so cute. What a clever idea using a hanger for a template! love this cake! Love it! 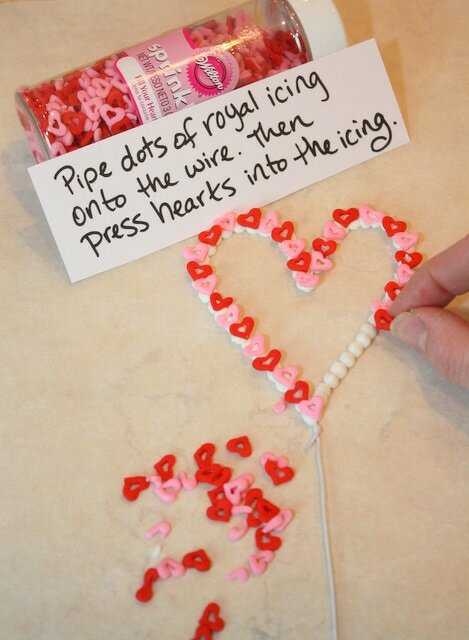 That is so cute (and quick to do!). I love this idea. Looks quite easy, I just may have to try this out. That is absolutely adorable…I love love love it! You’ve done it again!! Just beautiful!!!!! i love it..its so cute..